Macular degeneration is an ocular degenerative disease that affects an area of ​​the retina : the macula, causing visual alterations. Let us discuss the main causes and foods that can prevent macular degeneration. Age-related macular degeneration (AMD) is the leading cause of vision loss and blindness in people over 60 years of age. It is estimated that around half of people over 65 have a certain degree of degeneration in the macula. 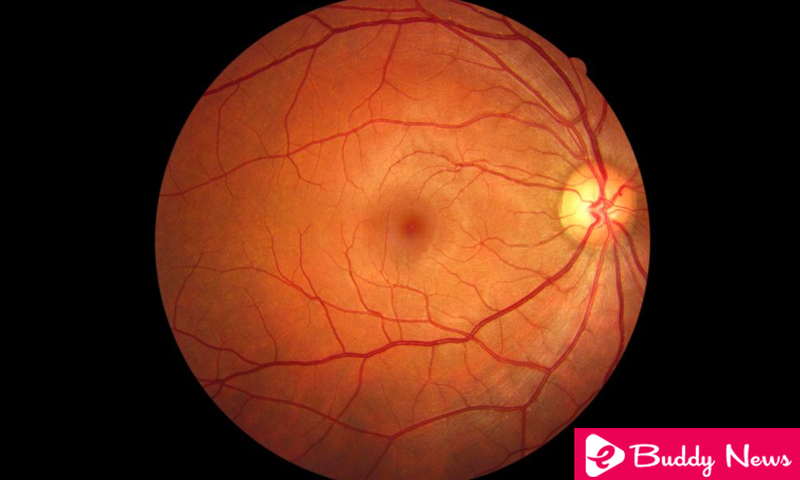 AMD is a degenerative disease that causes the death of ocular nerve cells involved in vision. Specifically, in the AMD a part of the retina, the macula , responsible for our clear and detailed vision is affected . The disease is directly associated with age, as the macula normally suffers a degeneration with the passage of time. The damage in this central part of the retina makes the affected people have difficulty reading, driving or even recognizing faces. The degree of degeneration is variable from one person to another , during the first stages, the affected person does not present any type of symptom. In many cases the gradual loss of vision is so subtle that when it is detected, the disease is already at a very advanced stage. Macular degeneration affects central vision. The affected person is not able to see small details clearly, either near or far, however, the lateral vision is not affected. It is also very common what is known as distorted vision or metamorphopsia , by which, people with AMD when looking at a straight line would see it wavy. Also, the most characteristic of people with AMD is that they have problems when reading or driving. Such visual problems are aggravated by age and the degree of retinal degeneration. With regard to the prevent macular degeneration, it is especially important to carry out a medical follow-up aimed at detecting the disease as soon as possible. For this purpose, it is recommended that after the age of 50 years, screening tests such as performing an ophthalmoscopy should be carried out. Ophthalmoscopy is a test that allows you to examine the back of the eye (the bottom of the eye), thus observing the state of the retina and the macula. The smoking is the main risk factor involved in macular degeneration. Tobacco toxins can affect the nervous tissues of the retina. In addition to being a tissue that consumes a high oxygen rate, it is very affected by factors such as tobacco, which alter the consumption of oxygen by the body. Solar radiation, specifically UV rays are highly damaging to eye tissues. Protecting yourself from such radiation through glasses and avoiding looking directly at the sun can help prevent the onset of macular degeneration. Food is also a very important factor in the development of macular degeneration. Certain conditions such as obesity or diabetes can directly affect our vision. Conversely, eating a balanced diet, avoiding the consumption of fats can help protect the retinas and prevent the onset of AMD. The vitamin C has a clear beneficial effect for sight. Among other things, vitamin C is a potent antioxidant, which will protect the nervous tissues of the eyeball from oxidative damage and, ultimately, from Neuro-degeneration. These two compounds play a fundamental role in improving your vision. These are proteins present in green leafy vegetables such as spinach and egg yolk. Its function is to strengthen the ocular tissues and protect the retina from harmful radiation that can cause macular degeneration. The omega 3 is an essential fatty acid needed for correct cell function. It is especially important in protecting the tissues of the retina. Increasing the amount of omega 3 in the diet can help strengthen the nervous tissues of the retina.